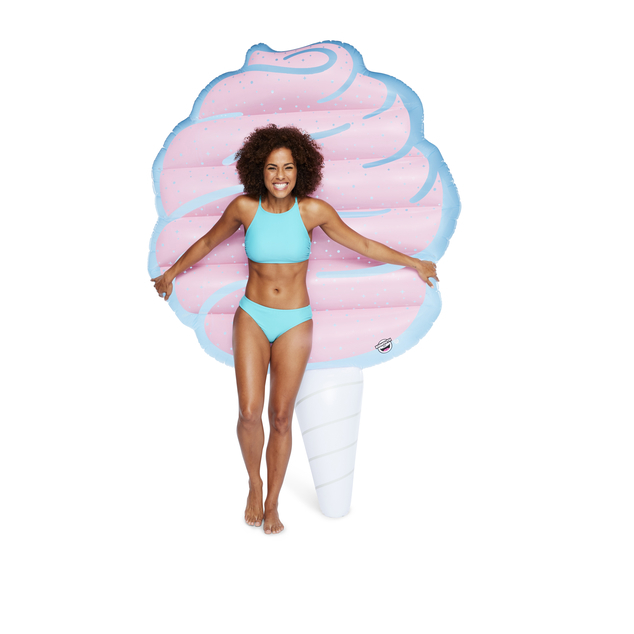 Our new Cotton Candy Pool float is part of the four BigMouth food groups: donuts, pizza, frozen treats, and candy. It looks good enough to snack on, yet it won’t give you a cavity when you take it for a “spin” in the pool (sorry, not sorry). 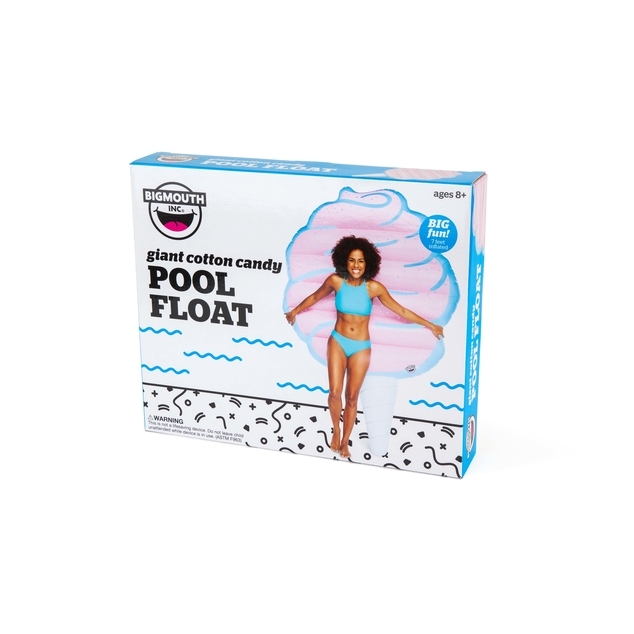 It’s 7 feet long so you can stretch yourself out further than a vat of melted sugar. The thick, durable vinyl is ready for a carnival of fun in the water—lake, pool or beach. 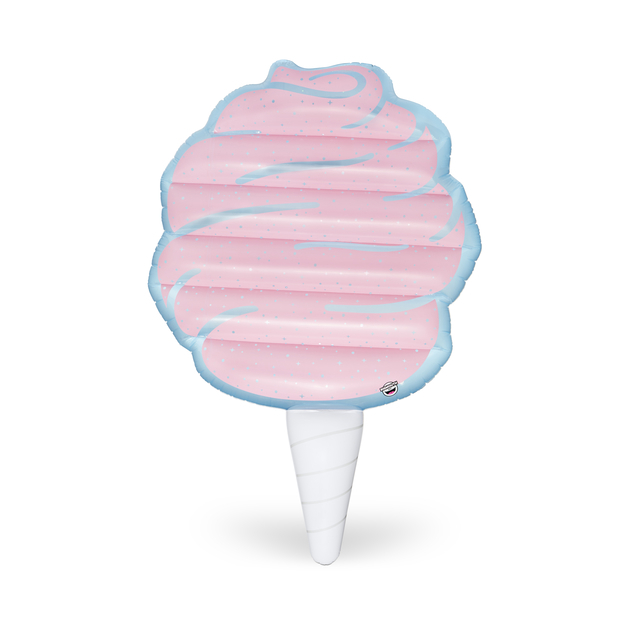 To sweeten the deal, each Cotton Candy Pool Float has glitter sprinkles inside that shimmer in the sunlight. We’re not kidding—just blow it up and set it on top of the water in the summer sun to watch it sparkle like a sugar rush.